Whether tissue diagnosis is required in the preoperative evaluation of patients with suspected pancreatic cancer remains controversial. We prospectively evaluated the accuracy, safety, and potential impact on surgical intervention of endoscopic ultrasound-guided fine needle aspiration (EUS-FNA) in the preoperative evaluation of suspected pancreatic cancer. All patients who underwent EUS-FNA at our institution (n = 547) over a 4.5-year period were enrolled. Patients underwent surgical exploration and resection based on their comorbidity status, evidence of resectability based on spiral computed tomography (CT) and EUS imaging reviewed in a multidisciplinary approach. Of 547 patients enrolled (median age 64 years, 60% male), 49% presented with obstructive jaundice. The operating characteristics of EUS-FNA of solid pancreatic masses were: sensitivity 95% (95% CI: 93.2–95.4), specificity 92% (95% CI: 86.6–95.7), positive predictive value 98% (95% CI: 97–99), negative predictive value 80% (95% CI: 74.9–82.7). The overall accuracy of EUS-FNA was 94.1% (95% CI: 92.0–94). Of the 414 true positive patients by EUS-FNA, 138 (33%) were explored. Of patients deemed operable by combined imaging, 42% had surgical resection. Eighty-two percent of true positive patients were ultimately found inoperable and received palliative therapy or chemotherapy. Of the 94 patients with true negative cytology based on extended follow-up, only 7 (7%) underwent surgical resection. Of those with false negative diagnoses (n = 24), 5 patients underwent exploration/resection based on detection of mass lesions by EUS. The remaining patients had unresectable disease. 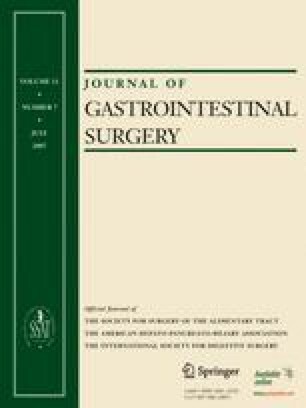 Mild self-limiting pancreatitis occurred in (0.91%). EUS-FNA is a safe and highly accurate method for tissue diagnosis in suspected pancreatic cancer. This approach allows for preoperative counseling of patients, minimizing surgeon’s operative time in cases of unresectable disease, and avoids surgical biopsies in the majority of patients with inoperable disease. In addition, it allows for conservative management of patients with benign biopsies. We still, however, recommend exploration of patients with clinical scenario suspicious for pancreatic cancer, a mass found on EUS or CT, but inconclusive or negative cytology. Received a Poster of Distinction Award at the Annual Meeting of the Society for Surgery of the Alimentary Tract held May 20 to 24, 2006 in Los Angeles, California.